Welcome to our web site. Please feel free to contact us for further information for any of the animals listed here. We have also developed a new section for South Mountain Jerseys - bred and owned by Terri and Ernie. 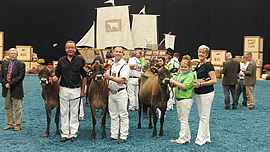 4/16/19: New Section - Cattle For Sale at Private Treaty! 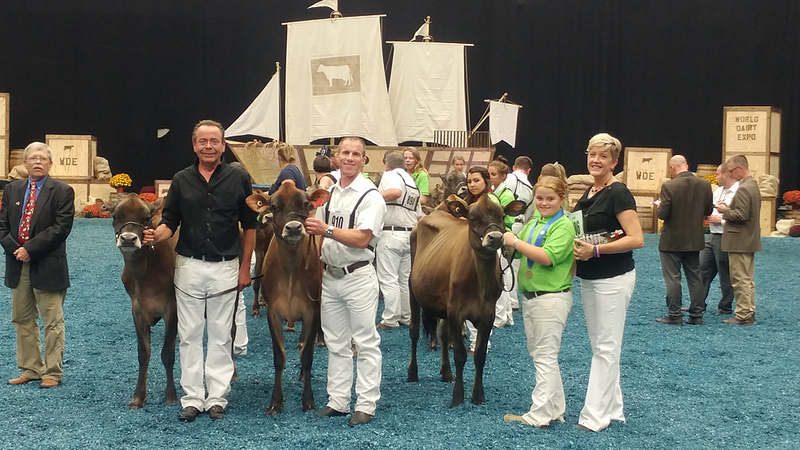 Check out the deep pedigreed show age calves for sale! May 3, 2019: PostTime at Ratliff’s II – May 3rd, Garnett, KS: CASINO Winter Calf from Marynole Excite ROSEY sells! Consigned with Mike & Linda Hellenbrand. 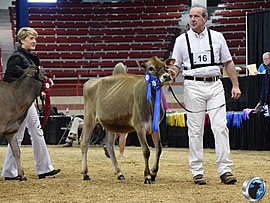 DOTTIE EX94 - 2nd Aged Cow, HM Senior & HM Grand Champion. Owned with Mike & Linda Hellenbrand. DARLING (Premier x Dixie x Dasher x Veronica) - 2nd Jr. 2-yr old & HM Intermediate Champion fresh 4 weeks. RAVISH (Colton x Radiant x Rosey) - 3rd Jr. 2-yr old fresh 4 weeks. Owned with Deane & Sue Friend and Rodney Hetts. 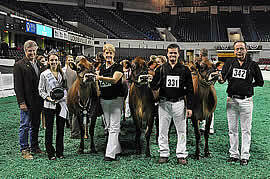 RAMBLIN' ROSE (Applejack x Rosey) - 1st Fall Calf and Best Bred & Owned. Owned with Mike & Linda Hellenbrand and Kaitlyn Corbett. RASCAL (Andreas x Radiant x Rosey) - 2nd Fall Calf. Owned by Rivendale Farms. RADAR LOVE (Applejack x Rosey) - 10th Fall Calf. Owned with Mike & Linda Hellenbrand. GEE WIZ (Wizdom x Good Luck VG89) - 2nd Spring Yrlg and Best Bred & Owned. Owned with Cindy Warner. AMARILLO (Wizdom x 2E91 Amber x 3E93 Flyhi x Fern) - 4th Fall Yearling. Owned with Mike & Linda Hellenbrand. 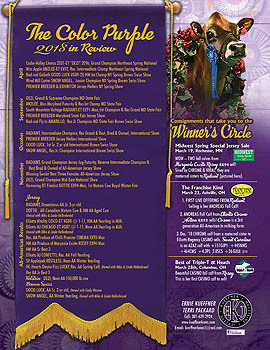 TRUMP (Latimer x Twyla x Tami) - 2nd Summer Yrlg and Best Bred & Owned. Owned with Daniel Basse & Mike & Linda Hellenbrand. 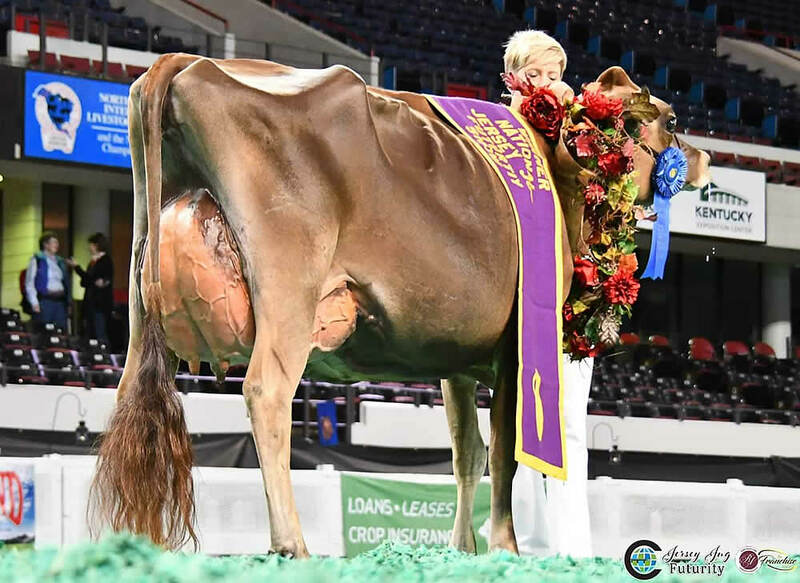 Ernest-Anthony Sid ALANE EX90-2nd lactation (fresh a month) – ALANE has 4 generations of All-American dams and International Show class winners! 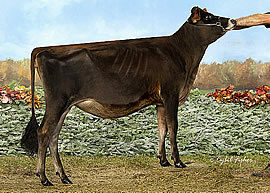 Her silky black DOORMAN March calf is available! 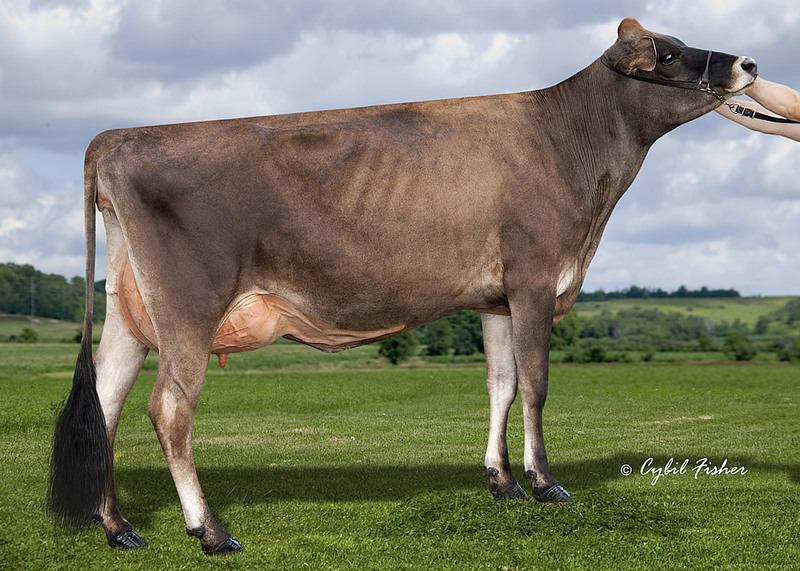 Ernest-Anthony TEASE VG86-2Y (fresh a month) – TEASE is a Golden Dreams from THRILLER EX95 x TYRA 2E94 x TINA 2E96! She could be the next name you know from this family – developing more every week. Her SOLOMON March calf is built just like her – tall and long with a wide, flat rump. She is available! 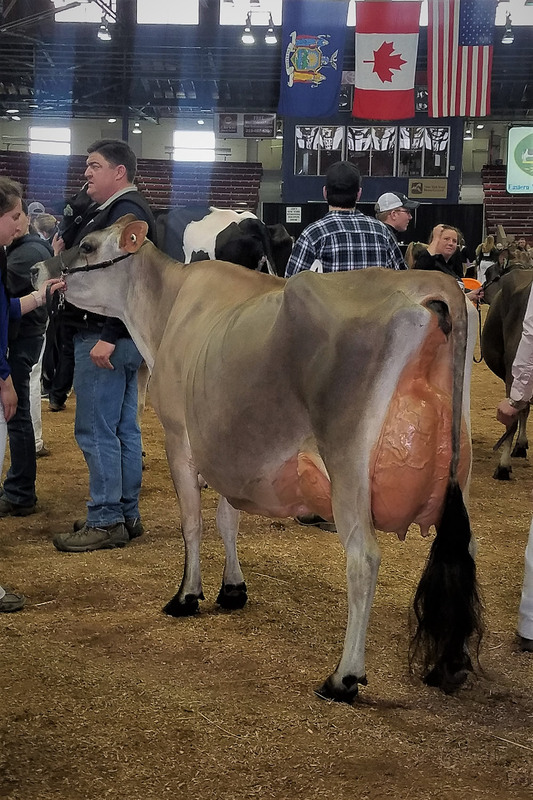 2/19/19: Classification: Arethusa Fever Almira is now EX 95!! 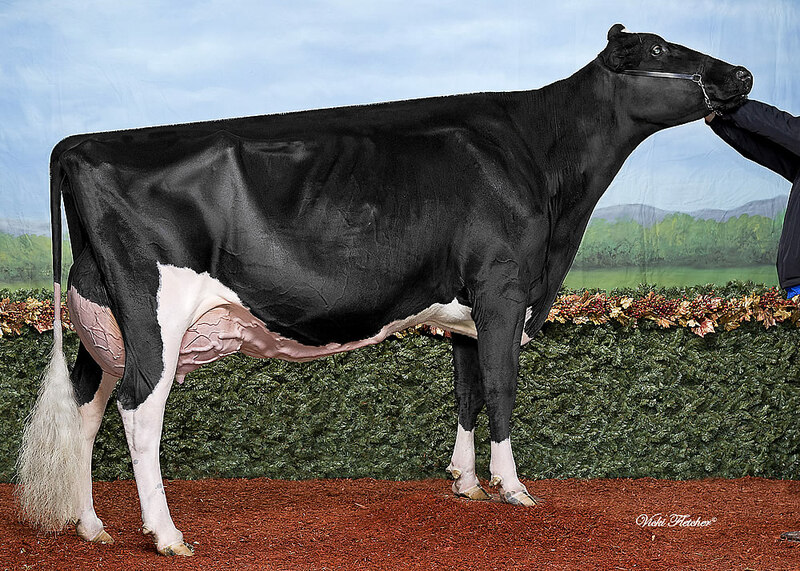 Featured on Ashlyn Descendants page- Read January 2019 Holstein International Article on Ashlyn- The cow with the most EX daughters in the World! 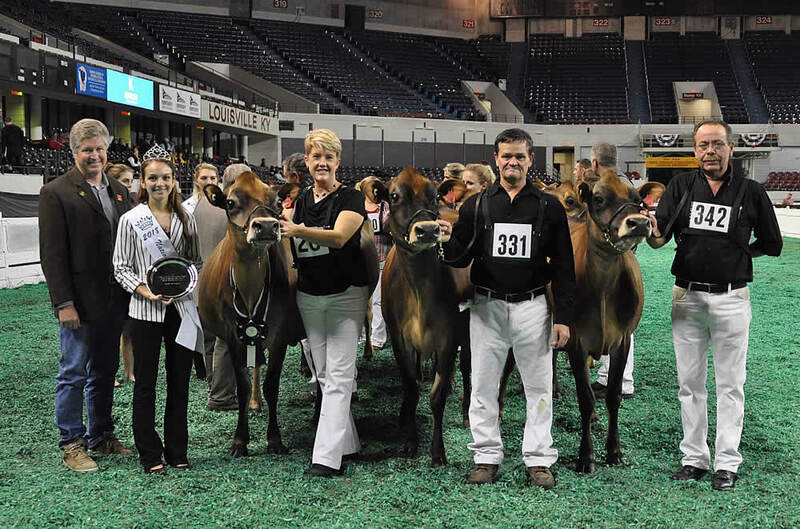 35th Miss Maryland Holstein Futurity Winner – Ms Apples ANZLEE! South Mountain Colton Josie VG88 @2-05 – her impressive Showdown Spring Calf is Lot 79 in Focus on Fall! This family breeds winners, generation after generation. Elliotts AJ Cinderella VG86 @ 1-11 fresh 30 days (Applejack x Cinema). Cinderella sells as Lot 68! Her July 4th Tequila daughter also sells. MS Gold Barbara Brooke - is now EX 91! 2nd Lactation - Doorman X Gold Barbara! MS Apple Anzlee-ET Now EX 92! 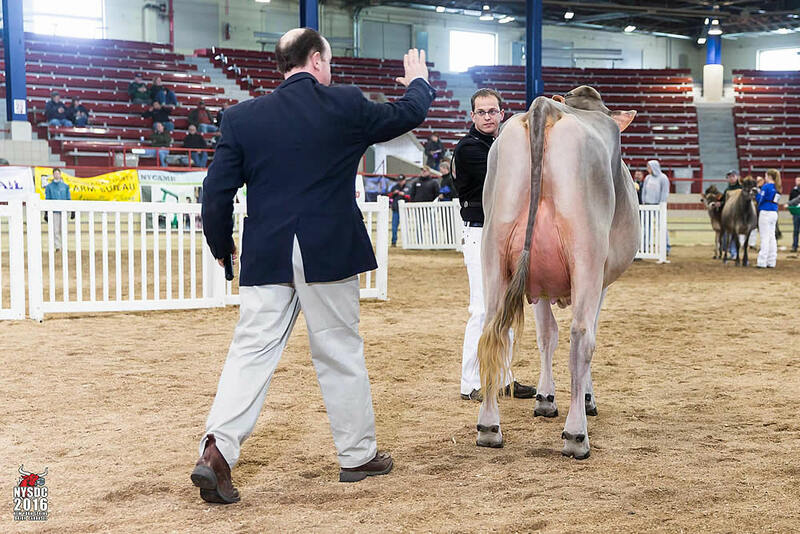 South Mountain Voltage Radiant- 1st Jr 2 Yr Old, Intermediate Champion, HM Grand at All-American Jersey Show- Now EX 91! !